Presented here, a very fine COMPLETE set of Dominos (28 Tiles) in a green felt-lined ebonized box. 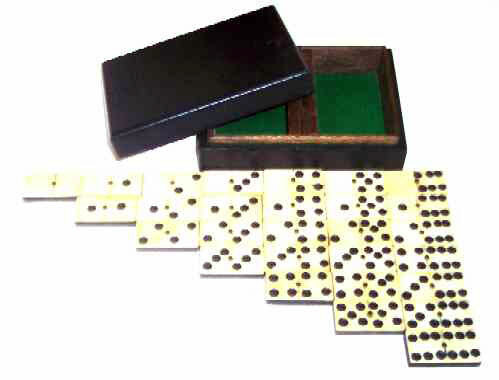 The dominos are made of Bone and Ebony and fastened with a brass pin. The box is 4-1/2" wide x 6"long and the condition is very good.